There is so much that I want to share about our humanitarian trip to Nicaragua and I have some many that have asked us about our experience. Honestly, it is difficult to find the words to describe the feelings of our hearts. I was writing in my journal the other day, just starting to write down what I learned, noticed, and all the tender mercies of the Lord! I’m feel impressed to share these with you. In a small way I hope to bring you into the heart of the entire experience. There are so many aspects to this trip, I will strive to share them with grace and ease. 1. When I feel resistance it doesn’t mean I’m bad or doing something wrong, it means I am changing, I am moving forward, I am doing profound things and I have the opportunity to change my life as well as many others. Also, that Father may be using resistance to protect and keep me close to Him so that I stay safe. 2. Always stay true to the godliness within. Allow myself to just be and to move through experiences however I feel I need to. Take care of self. Honor and glorify God by loving self and others. 3. The love of God knows no bounds. Love is the universal language. Love heals all wounds and surpasses time. Love is the language of the Spirit. It’s not about religion…we are all children of God and He loves each of us and as Disciples of Christ, we exemplify him the best by just loving. 4. Stand for what you believe in. Do not be afraid to be yourself and share your conviction with others. 5. I can do all things through Christ who gives me strength. 6. I am blessed, running water and flushing toilets are commodities. 7. Electric stoves and ovens, a home….is a commodity. 8. Happiness does not come from having things, it comes from within, it comes from having connection within oneself, God and others. 9. A smile speaks a thousand words and heals a broken heart. 10. Laughter is the best medicine and provides sunshine to the soul. 11. God paints a beautiful sunset, Ocean waves wash away the stress. 12. There is beauty all around if we open our eyes to see, God is in everything. 13. Never give up on your dreams, especially the ones God puts on your heart. Those are the ones we need to give our all too and believe. 14. Faith is believing in what we can’t see, but know in our hearts is true because of the witness of the Spirit of truth. 15. God always provides a way. 16. Jesus is truly the light, the way, and the truth. He is the answer we are all looking for. There were also so many miracles and tender mercies from the Lord. I will share those on another post. So look for PART 2! How do you think of money? Do you think of money as an object or as a relationship? Money is energy, like everything else and what I’ve learned, is that it is what is in the heart of the beholder that determines the value of money and what it is able to do. What would happen if we looked at money as a relationship and as our friends to empower us in our lives? What would you do to build this relationship into something beautiful and long lasting? In all relationships there is a give and a receive and there is a great need to forgive. Have you ever taken the time to forgive money, for all the perceived times that you were disappointed or let down? The more we can clear up our relationship with money and build a quality relationship, the more we will have it flow to us, because it will feel loved and welcome. Now to some, this will sound completely crazy, and that is fine, you don’t have to continue reading …..and to others it will begin to make sense. What would happen if we live our lives with the focus of working in harmony with all the energies around us, in building loving relationships? What we focus on fills us up and we attract. We are Creators by nature, do we really understand that what we speak and what we think and put into action on a daily basis becomes? Instead of focusing on how much debt we have and wanting to become debt free…what would happen if the focus is on becoming financially free? See the shift in perspective, in words? Which one would you like to attract? A friend recently pointed out, that the homeless are debt free…..financial abundance in what they do not have. Interesting perspective don’t you think? Some of us push money away because we do not feel worthy to be wealthy, abundant or to have our needs met. Some of us feel afraid and think it is prideful to want money and to ask for it. Ponder on this….Christ became a millionaire within the first 2 years of his life, by no thought or deed of His own, just because of who He was and because of His mission. We often think of Christ as poor when he walked the earth , I beg to differ. God knows all that we stand in need of and he offers to take care of His own. If it is ungodly to be abundant and rich then why would Christ be given riches from day 1. Do you think it is Godly to live a paupers life if you are serving the one true and living God? Do you really think that the death and destruction that scarcity brings is from God, that it pleases him to see his children suffer this self imposed belief and the effects of it? I say no – Father says, in my kingdom are many mansions and I go to prepare a place for you. Mansions! 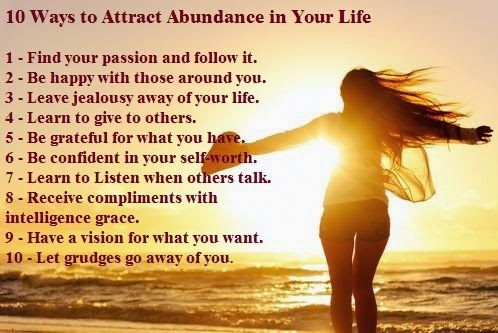 Abundance! Prosperity! My friends, it is not godly to live in scarcity….look at the front part of this word….scar or scare. God hath not given us the spirit of fear, but of power, love and of sound mind. In Father’s kingdom all good things are and come to pass to those who love and serve him. Are we serving Him? When we have a desire to do good things, to love one another and to care for each other, we are invocing the powers of heaven to assist us in all things. When we align with heaven, we are aligning with the energy and laws of abundance. How many of us believe that if we ask for “bread” that he will give us a “stone”? I propose that one of the only reasons we do not see so many of our dreams and righteous desires for abundance and prosperity come to pass is because we give up the faith too soon. We give up the dream and the vision right before it is about to come into material form. There is a timing, a gestational period for some things but how many times have we lost faith or stopped moving forward because we are not seeing the physical manifestation of what we already know deep in our hearts and souls, is already coming? I propose that this is the reason why we do not see growth in our lives. We give up too soon. We must press forward, believing that the things we need and asked for is coming to us now and then act as though it already is. So give yourself a gift this season, give the gift of a new perspective and belief about money, God and your relationship with money. Give yourself the gift of freedom and prosperity! In this fast paced, ever changing world, I find myself searching for serenity and deep connection quite often. There are times that I feel that I am literally on a roller coaster….an emotional roller coaster. I feel joy and gratitude and then somewhere I allow a nasty thought or challenging experience derail me and I am in the depths of stress and worry. That has been my life experience,what pulls me out and sustains me is what I find is important. 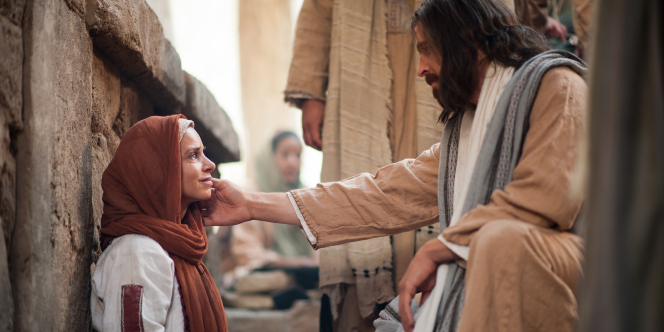 The Savior of this world, the Creator, Our Advocate with the Father, is my constant stay, go to and safety. In Him I have found only peace and love. Peace and love like I have never known. Do you ever find yourself feeling empty, looking for something, wanting to fill a void? I have felt this way many times and have found that what I am aching for is LOVE….The pure love of the Living Christ. Do you find yourself looking for connection, pining for peace, a rescue from your deepest fears? Where can you find this? IN CHRIST. I believe when we feel that way, we are really looking for is our connection to Christ. When we think of the term “ the Living Christ” , what comes to mind? Do we really believe that Christ lives, breathes, walks the Earth, that He guides and directs it’s affairs and well as the affairs of his kingdom on earth? I respond with a resounding yes! Christ does guide the affairs of His church and His gospel. He does lead and guide those who have been appointed and set apart in his name to do his work. It is His spirit which directs in all things. Spirit is the light of truth, or light energy that everything is made of spiritually first and then physically, which we can feel , but not necessarily see. Christ’s spirit is present, that is actually what it means to live in the present, it means to be conscious, conscious of life. He is the bread of life, the light of the world. So really what we are coming into is Christ Consciousness….a God breathed life. God breathes life into all his works, its how this planet came to be, its how Adam came to be…God breathed life into him. When we are Christ conscious we are aware of Christ energy all around, His spirit and being guided by Him, therefore moving by God’s breathe in us. The more we feel it and act upon it the more awake and alert and alive we feel and the more we want. It returns us back to that feeling of Home. Coming into Christ-Consciousness is coming into the energy space where He resides. It’s connecting with Him energetically. Its returning to love, its walking in His energy: pure love. I experienced this on a recent trip to Hawaii. I was pondering on His words, reaching out to Him in spirit, wanting to connect and I did, the joy and peace I received was tremendous. I also was taught so much, He would place images in my mind of Him standing by my side, holding my hands, or hold me and I could feel that. At this time, I was impressed to write and testify of the reality of Christ and that He lives and breathes and is present in our lives. He is where peace resides and is the answer to our longings, our aloneness and our healing. He is available at all times, if we but believe. That is the challenge, believing what we feel and sense and see spiritually in our minds eye and not limiting our belief to only things that we can see with our physical eyes. WE are being called to walk by faith, now more then ever, but we also have the ability to truly connect with Christ and have those walls that existed between heaven and earth, no longer exist in the way we have experienced in the past. It is now like a thin sheet or veil, the spiritual realm is very close and therefore when we make the effort to connect to things of the spirit with the intent to do good, to heal or to receive answers, we are able to do this. Christ is real and I invite you to step into this reality. To believe in a being that is pure love, to connect with Him and to learn how He feels about you, how He speaks to you and allow Him to teach you, heal you and love you. Come into the Consciousness of Christ in all things! There will come a time very soon that this will be the only real thing we will experience in this life, this connection will become the lifeline in discerning between reality and fabrication.